The night of June 4 will be the "Night of the Synagogues" in Krakow, according to the newspaper Gazeta Wyborcza. 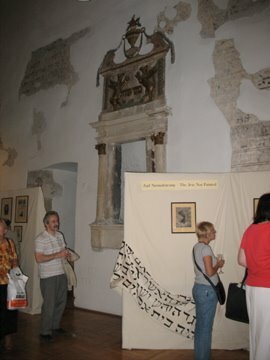 All seven historic synagogues in the old Jewish quarter, Kazimierz -- the gothic Old Synagogue, the Remuh Synagogue, the High Synagogue, the Kupa Synagogue, the Izaak Synagogue, the Popper synagogue and the Tempel synagogue -- will remain open and will feature concerts, performances and other events. According to the article, "Instead of klezmer bands in the Tempel synagogue you can listen to contemporary Israeli rock music." There will be a Dj in the Old Synagogue and also various art workshops. The full schedule of events will be available Monday.